SCRAPPING NOMAD: Busy, busy, busy! Sorry for not posting much this week, I've not been a lazy bug, on the contrary, I've been VERY busy. I finally got my Freehand Scraps kit and my mojo is flowing like a river! So many yummy things, I really can't tell you what they are, but I can say that the papers have been perfectly chosen so you can use any of them with any other piece of paper or cardstock in the kit. And the embellies.... Well, you'll have to wait for the sneak peeks to start drooling over them! It is DD's last week of summer holidays, so we have had playdates and pool parties in the afternoon and have been getting everything ready for school in the mornings. 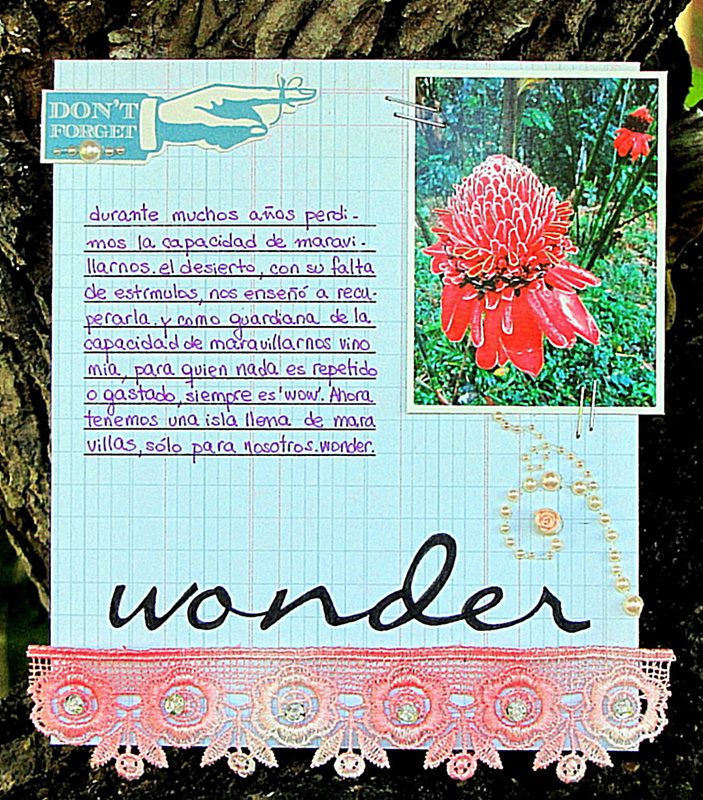 Plus, I signed in for the Big Idea Festival at Big Picture classes and I am making a mini album with their daily words. This is something I can share with you. I am keeping the pages very simple, choosing some background paper I like (trying to use PP from my scrap box) printing the template on them, and then embellishing. The main focus is on the journalling, what these words mean to me right now. 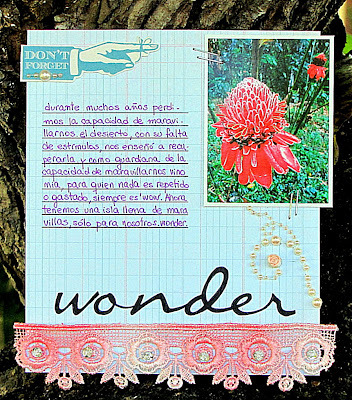 I love this kind of journalling and there isn't always room for it in LOs, so I'm loving this experience. Here are the two pages I've made so far. I want to make a mini album with a very messy look, the kind that has bits and pieces sticking out from every page. I will share the pages as I make them here, and then I'll share the look of the finished album once I am done. You still have time to share the Big Idea Festival if you feel you'd like to give it a try! Love hearing that you mojo "is flowing like a river" :) Your layout is so pretty. I WISH I had your handwritting. Mine looks like my nine yr olds! Can't wait to see more.